Amazon.com, Inc. (NASDAQ:AMZN) watchers know that the company makes many long-term bets on seemingly unrelated businesses. In the interim, Amazon assures investors that these bets will ultimately help bolster its core business. Amazon Prime Video is one of those bets. Today, Reuters reported on a leak of internal Amazon Prime Video subscribers numbers — information that that the company has never made public. And after years of spending money on programming — now to the tune of $5 billion per year — the leaked internal documents show that Prime Video subscribers bolstered Amazon Prime membership by 25%. With average Prime members spending $1,300 per year, that’s a big payoff in Amazon’s retail revenue and for AMZN stock. The leaked documents include key information about how much the company spends on Prime Video programming and the strategy behind transitioning from award-based entertainment to more mainstream content. Most importantly (for AMZN stock investors), the documents detail the payoff in terms of Prime Video subscribers. And clearly, Amazon’s bet on Prime Video is paying off. According to Amazon’s own numbers, by early 2017 Amazon Prime Video had a U.S. audience of about 26 million. In comparison, midway through that year, video-streaming leader Netflix, Inc. (NASDAQ:NFLX) had double the numbers at roughly 52 million U.S. subscribers. 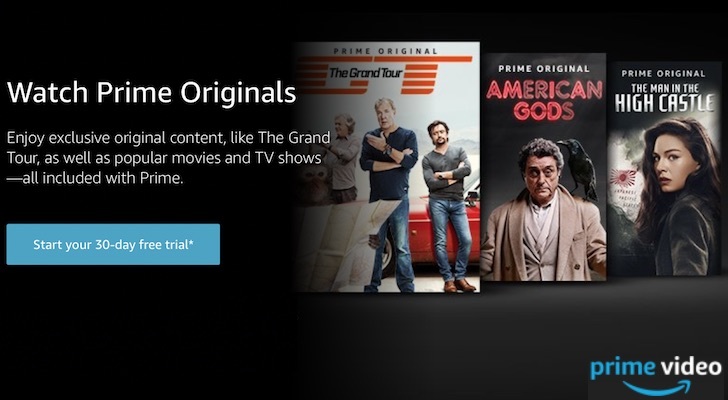 Amazon’s analysis says those Prime Video subscribers boosted total Amazon Prime sign-ups by 25% between late 2014 and early 2017. The company puts the total at 5 million new Prime members by early 2017. Those numbers support Amazon’s claims that its video streaming service helps to boost retail sales revenue. Consider the fact that in 2017, the average Prime customer was estimated to spend $1,300 per year on the site. With 5 million Prime members, that’s an annual spend in the $6.5 billion range. And in 2017, Amazon was estimated to be spending around $4.5 billion on video content, including original programming. So that’s a net annual revenue gain in the $2 billion range. The data also shows why Amazon has recently changed strategy on its original programming, shifting toward shows that have mass market appeal. According to Amazon’s calculations (based on what show new Prime Video subscribers watch first after signing up), it’s mass market programming rather than critical acclaim and winning awards that’s paying off. The Grand Tour –a British motoring series featuring BBC Top Gear stars– cost Amazon $49 per new subscriber to produce. However, critic-favorite Good Girls Revolt did not go over nearly so well in terms of attracting new Amazon Prime members, costing the company early $1,560 per new subscriber. With a Prime membership costing $99 per year, the math favors that shift toward original programming with wider appeal. The payoff in video programming driving Prime Video subscribers — who in turn shop on Amazon using their Prime membership — is now there in Amazon’s own numbers. The billions of dollars in programming do have an impact on the company’s bottom line — and not just as an expenditure. This is just another example of Amazon’s big bets paying off — in the long term. Remember the hand-wringing over huge expenditures on cloud infrastructure a few years back? Amazon Web Services (AWS) is now the profit center for Amazon and arguably the key driver of AMZN stock. Similarly, the investments Amazon is making now in Prime Video, the smart home, health services and grocery shopping may not pay off immediately or directly, but they all build on one another. Eventually, most will end up making AMZN investors very happy. Article printed from InvestorPlace Media, https://investorplace.com/2018/03/amazon-com-inc-s-amzn-prime-video-bet-paying-off/.